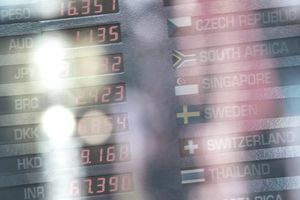 If you're interested in investing in foreign markets, one strategy to consider is international bond ETFs. This category of funds can provide a good way to gain exposure to foreign markets, to hedge foreign interest rates, or to create a revenue stream in your portfolio. Here's a list of some international bond ETFs. You can click on the links for some of these symbols for more information. You might want to look at some of the major funds when you're well-versed in these types of bond ETFs to see how they perform and react to various market conditions. As with any foreign ETF, it's important to understand both the risks and advantages. There are many aspects to consider, including rates, historical results and what's actually in the fund. Be sure to conduct thorough research and consult a professional such as a licensed broker or a financial advisor if you have any questions or concerns. Then, when you're ready, have a look at some of the funds on this list. You may find the perfect fit for your investment strategy.